Home/All Tips, Technology & Software Tips/Hotel Distribution Channel Manager: What Are the Advantages? For those in the hospitality industry, a key part of any revenue management strategy revolves around distribution channel management. 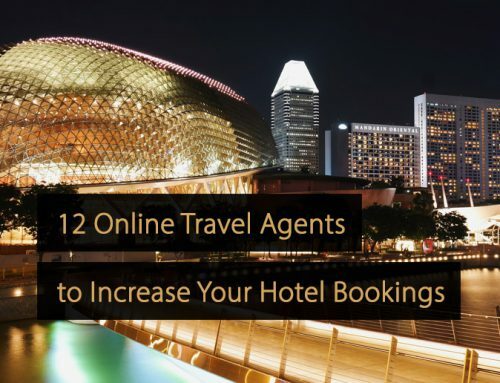 After all, while direct bookings are usually preferable, maximising bookings and revenue requires assistance from third-party distribution agents. In this article, you find extensive information regarding distribution channel management in the hotel industry, as well as the role that a distribution channel manager can play. What is Distribution Channel Management? Within the hotel industry, a distribution channel refers to a chain of intermediaries that a hotel room or hotel service passes through before it reaches the customer. These chains can be short, such as a direct sale from the hotel to the customer, or longer, passing through wholesalers, online travel agents, retail travel agents or information centers. Distribution channel management, therefore, is the practice of managing each of these distribution channels. This can involve managing your rates and booking restrictions, ensuring your hotel’s inventory is continually updated across all of the different channels, and a variety of additional tasks. An effective hotel channel management strategy is imperative for maintaining the partnerships and business relationships that are necessary in order to optimise sales and maximise revenue. What is a Hotel Distribution Channel Manager? A hotel distribution channel manager is an online management solution, which allows you to centralise all of your different distribution channels and manage operations connected to them, all from the same place. These solutions can be cloud-based or software based and management operations can be carried out in real-time. Through the use of a distribution channel manager, all parties involved in the distribution of hotel rooms or other hotel services can gain live access to key information, such as rates and availability. What Are the Advantages of a Distribution Channel Manager? Below, you find a list of some of the most significant advantages associated with using a distribution channel manager. One of the primary advantages of using a distribution channel manager is the ability to speed up the processes associated with managing channels. For instance, you will no longer need to log in to the system of each online travel agent or distribution partner to make adjustments, because adjustments can be made in one place. Repetitive tasks can also be automated, saving substantial time on general administration. Another major advantage for those in the hospitality industry is the improved accuracy offered by distribution channel managers. As an example, through enhanced transparency and up-to-date availability, it can solve human error issues, such as over-booking your hotel or property. Mistakes can often be costly, in terms of time, money and potentially even business partnerships, so eradicating these is a key channel management priority and can be of enormous benefit. Aside from the pure functional aspects of distribution channel managers, these solutions also offer the added bonus of providing key data and metrics in a single place. This can be of great strategic benefit, allowing hotel owners and other business leaders to identify notable trends or patterns. From there, it becomes easier to make key strategic decisions, which are supported by evidence or data. Most distribution channel manager platforms also include a built-in booking engine, or the ability to connect with your own booking engine, allowing customers to make direct bookings. This can be of great value for revenue management purposes, because direct bookings are the most simple distribution channel and do not require the hotel or resort to pay commission fees to a third-party distributor. Finally, the use of a distribution channel manager can help to improve revenue and business performance in a number of ways. For example, the platform will enable a more dynamic approach to room rates, allowing adjustments to be made quickly, in the moment, across all channels in the system. Additionally, distribution channel managers can make it easier to add new distribution partners and improve overall hotel visibility, which then potentially increases demand, occupancy rates and the amount that can be charged. Distribution channel management is an important concept within the hotel industry and the use of a distribution channel manager can improve associated processes. As a result, management can be made faster and more accurate, more dynamic pricing strategies can be adopted, visibility can be enhanced and revenue can be increased.